Reporting to: Unit Head administratively and Lead Physio functionally. Job purpose: To ensure smooth delivery of Critical nursing care services in the field. To provide direct and individualized critical care (ICU/ CCU) nursing to patients based on the application of scientific nursing principles. Initiates patient education plan, educates patients and patient attendant on how to manage illness/injury or criticality at home through home care needs, diet/nutrition/exercise programs. Able to handle specialised equipment used on patient. Job involves working in shifts. Define and develop processes for various functions relation to Clinical, Operations and Support Departments of Apollo Home Healthcare Ltd. Reviews Non-conformances, Corrective Actions, Observations, and Patient Complaints for repetitive trends. Review and recommend process improvement. Conduct training programs on quality standards. Support and carry out any other work assigned by the Unit head from time to time. B.Sc/M.Sc Nursing with PG/MBA in Healthcare Management with 2- 6 yrs of relevant experience in hospitals or home care. To maintain professional standards of competence in line with current best nursing practices. To ensure that all care needs for each patient are met in accordance with the care plan. To ensure that all patient care is delivered in accordance with company documented clinical policies and procedures. To promote patient safety, privacy, dignity and confidentiality at all times. To ensure that all relevant information relating to a patient’s care or treatment is recorded accurately and at the time the care was delivered. To communicate with the referring clinician in a timely and professional manner. To maintain close liaison with other healthcare professionals as appropriate. To participate in any quality assurance program. To maintain close liaison with other healthcare professionals as appropriate.Patient care post discharge at the residence of the patient. Walk-in for interviews for NURSES on all weekdays from Monday through Saturday, 10:00 AM to 2:00 PM @ Jubilee Hills Apollo Home Healthcare Office. Home visits – To visit approximately 4 to 5 enrolled patients in a day. To ascertain patient’s needs and formulate personalised care plans based on comprehensive assessments. To deliver outstanding clinical care guided by evidence based medical and ethical practices. To monitor the care delivered and provide necessary clinical guidance to facilitate better recovery. To provide goal oriented care for patients resulting in better outcomes. To implement clinical care protocols and pathways of home healthcare. Report on the number of visits and maintain a documentation of those visits. *Transport will be provided by the organisation for the patient visits. Coordinate with the stake holders and identify the training needs and deliver clinical trainings aligned with the need analysis. Responsible for all the unit level training and development activities also includes the coordination with the corporate office. Responsible for refresher training or any other training from time to time. Should have excellent presentation and communication skills. Should have experience in delivery of clinical procedures. Delivery of soft skills and communication skills training. Should be versatile and ability to handle varied participant profiles. Visiting different hospitals, Individual Clinics, Nursing homes, and other stake holders at regular frequency as per the plan defined. To ensure generation of maximum referrals and increase market share for Apollo Home Healthcare. Record and report field work in daily basis on assigned online tool. Responsible to enhance the brand visibility along with on spot revenue generation by promoting Apollo homecare services in Vicinity / Neighbourhood/ Societies/gated communities by branding through events and camps. Job purpose: Responsible for Sample collection and Reports dispatch. Experience: 1- 3yrs experience as Phlebotomist. Other required skills: Basic communication and presentable. Responsible for timely preparation of Bills in coordination with operation team. Responsible for Submitting bills to patients. Responsible for timely collection of Bills. Liaison with Operations team in case of any discrepancy or issues in the bill as raised by patient. Should maintain record of patient receivables with all relevant details. Should complete accounting of bills raised and collection made. Com/M.Com /MBA with 2-3 years of experience in handling bills. Knowledge of Oracle Fin will be an added advantage. Should be well groomed & smart enough to deal directly with patient. To administer all documentation in relation to the invoicing and receipt of payment of debtors in keeping with the current Finance Policy and Procedures at the unit level. Additionally to administer other Finance tasks such as monthly management account schedules, bank reconciliations and related reconciliations. Finance Administrator for lodgement preparation and posting of same to the Finance system. Manual and system reconciliations of bank accounts. Credit Control and Debtor Ledger Maintenance. Weekly credit control of outstanding event deposits and post event service invoices on the Debtor’s ledger. Preparation and reconciliation of the monthly income schedules to identify income to be included in the monthly management accounts. Updating and analysis of the monthly expenditure schedules to identify accrual and prepayments to be included in the monthly management accounts. Analysing the capital expenditure additions in the month. Com/ M.com / M.B.A Fin & A/c’s 3-4 yrs of experience in finance and accounting. Graduate with 1-2 yrs of experience in inbound/outbound call centre. Collate training needs and coordinate with smooth delivery of the training. Responsible for coordinating induction and orientation of new associates in the organisation at the unit level. Coordinating with the vendor for the grooming kits and grooming done for the nurses. Responsible for collection of feedback forms, collating it and analysing it. Support the unit level Learning centre manager in all the trainings activities assigned time to time. MBA HR with 2-4yrs experience and has worked as a training coordinator earlier. Good in Ms. Office esp. in power point and MS- excel. Incumbent will be responsible for overall administrative management for Apollo Home Healthcare Ltd. at the unit level. Responsible to for facility management and maintenance, rental deeds, renewals and vendor management. AMC of contracts, Bills verification, Bills certification, Follow up of Bills. Responsible for the front office, hospitality, pantry and housekeeping services, pest control, hygiene, electrical and mechanical, sanitary and plumbing, space management, minor repairs (Carpentry, masonry, furniture, painting etc.). Will be responsible for the Travel and transport of employees at the unit. Keeping details of all petty cash expenses with proper approvals from CEO and forwarding details of all expenses to Finance and Accounts team in the unit. Booking the Venue, arranging for any specific requirements, Food and Beverages, sending attendance, venue payments. Procurement and maintenance of office equipments/furniture/fixtures, to ensure their serviceability and AMC. Procurement and issue of stationery to various divisions and maintain their proper records and maintenance of sundry equipment like mobile phone, telephone, calculators etc. To maintain proper record of company assets and ensure accountability. To ensure general office maintenance to deal with vendors/service providers like suppliers, courier, manpower consultants etc. Recruitment of nurses and other support functions at the unit level. Offer, appointment and joining formalities. Attendance and leave management at the unit level. Responsible for Payroll management and statutory compliances at the unit level. Employee engagement and welfare activities at the unit level. Responsible for Performance management and career growth of employees at unit level. Any other work assigned by the manager from time to time. Job purpose: To integrate with all departments, w.r.t. call centre operations, sales and customer experience. Executes and briefs the team on all campaign taking place from the corporate end and responsible for ROI on the same. Visit Doctors /Nursing officers, in chargers and stake holders for business generation. Preparing estimations and negotiate terms and conditions with the clients. Responsible for generating prospects and enrolments of patients for Medical devices at home. Ensure the quality of materials supplied are in good condition. Coordinating with vendors for equipment deliveries and logistics. Generating GRN, Issue vouchers, Payment request etc. Overseeing the invoice and payment processing by the Finance Administrator and Preparation and reconciliation of the monthly income schedules to identify income to be included in the monthly management accounts. Visits to Hospitals and vendor places when required. Maintaining vendor relationship, vendor engagement & oversight plan. 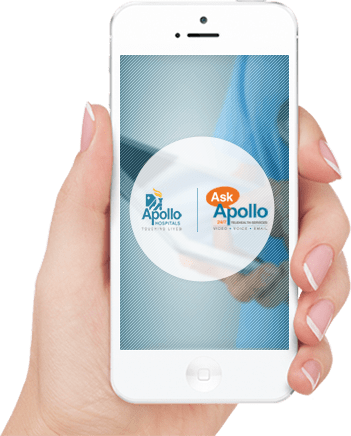 Responsible for generating leads, maintaining and updating discharge patients database in coordination with Apollo hospitals and meeting them in person and lead conversion. To identify and work closely with Healthcare Professionals from Cardiac, Neuro & Ortho specialties and to promote different Apollo Home Healthcare Services. Builds sustainable relationships with Key Opinion Leaders in assigned territory by involving them in scientific engagements at regular intervals and through effective coverage at the right frequency. Lead generation and conversion from various sources-Doctors/Hospitals/Corporates for Apollo Home Healthcare Services. Revenue generation by meeting monthly & quarterly business targets. Responsible for driving Market Development Activities to enhance the brand equity & awareness of Apollo HomeCare Services in the Healthcare Industry. Creating Patient awareness by providing right information about Apollo HomeCare Services. Analysis of competitor information and market intelligence. Follows safety and compliance policies of Apollo HomeCare. Any other work assigned by your reporting manager from time to time. 2-3 years of exposure in selling Pharma, Medical Devices, and Diagnostics products. Good communication in English/ Hindi and Local language is a must. Proficiency in MS Office would be an added advantage. Evaluate the business opportunities and translate them to the working plan. Coordinate with various vendors (Clients, Associate partners, internal stakeholders and collaterals) for smooth hosting of an event. Identify opportunities and gap in service offering and derive innovative channels for co-marketingwith the set of corporates within the region that will enhance value for all associated stakeholders. Experience:1- 3yrs experience as Phlebotomist. Strategic Planning and implementation to improve sales & rental of equipments and Increase Consumable & Pharmacy revenues. Other required skills: Ms. Office and basic Internet browsing & should be Go Getter. Job purpose: Responsible for sales of Consumable & Pharmacy. Strategic Planning and implementation of marketing activities to improve Consumable & Pharmacy revenues. Experience:6- 7yrs experience in Equipment & Consumables Sales in Health Care/Hospital Industry only.